Giessen Roxy 25 VG-87-NL 2yr. Different branch from the Roxy family! Fantastic Uno from the Roxy family! Giessen Cinderella 49 VG-87-NL VG-89-MS 2yr. Giessen Praline 16 VG-87-NL 2yr. Beautiful dtr of Ven Dairy Wonder! Mws Dusk Ashlyn 979-Red VG-85-NL VG-88-MS 2yr. Zandenburg Paradise Ebony VG-85-NL 2yr. Beautiful daughter from Gorgeous EX-90! 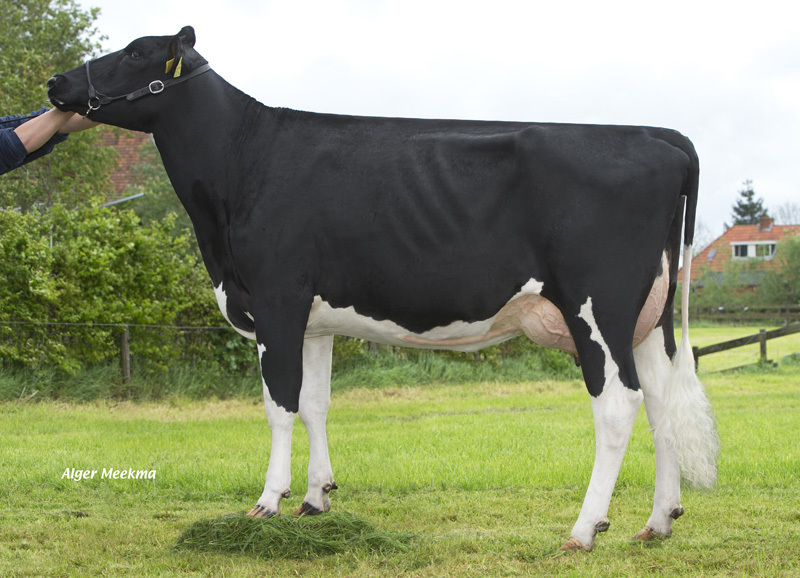 About 3 years ago Domela Holsteins invested in one of the top genetics from Giessen Holsteins. After a few good flush results, we invested in a multiple cows which had proven themselfs already out of the best cow families World Wide which we started flushing with high genomic bulls but also with the best sires for type. This is how the Domela herd started.